· Faster speeds. LTE technology is capable of delivering speeds faster than many other mobile broadband technologies. Customers can stream, download, upload and game faster than ever before. · Faster response time. LTE technology offers lower latency, or the processing time it takes to move data through a network, such as how long it takes to start downloading a webpage or file once you’ve sent the request. Lower latency helps to improve services like mobile gaming, two-way video calling and telemedicine. · More efficient use of spectrum. Wireless spectrum is a finite resource, and LTE uses spectrum more efficiently than other technologies, creating more space to carry data traffic and services and to deliver a better network experience. · Cool new devices. 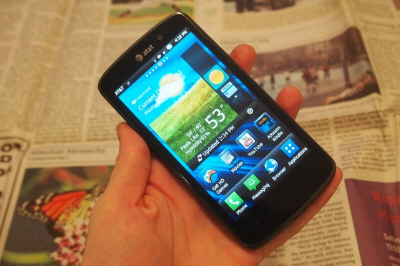 AT&T offers several LTE-compatible devices, including new AT&T 4G LTE smartphones and tablets. “We continue to see demand for mobile broadband skyrocket, and our 4G LTE network in Santa Ana responds to what customers want from their mobile experience — faster speeds, cool apps all on the latest devices,” said Andy Shibley, vice president and general manager. Ooh, a little too late. After having AT&T wireless for years, we just moved over to Verizon in frustration. I’ll keep my ear to the ground (!) and keep tabs on the feedback and reviews.